This bride rented the Carnoustie Suite at Newcastle Golf Club near Bellevue, Washington, to get ready in. (In fact, there's another great photo of her getting laced up in this same photo gallery!) 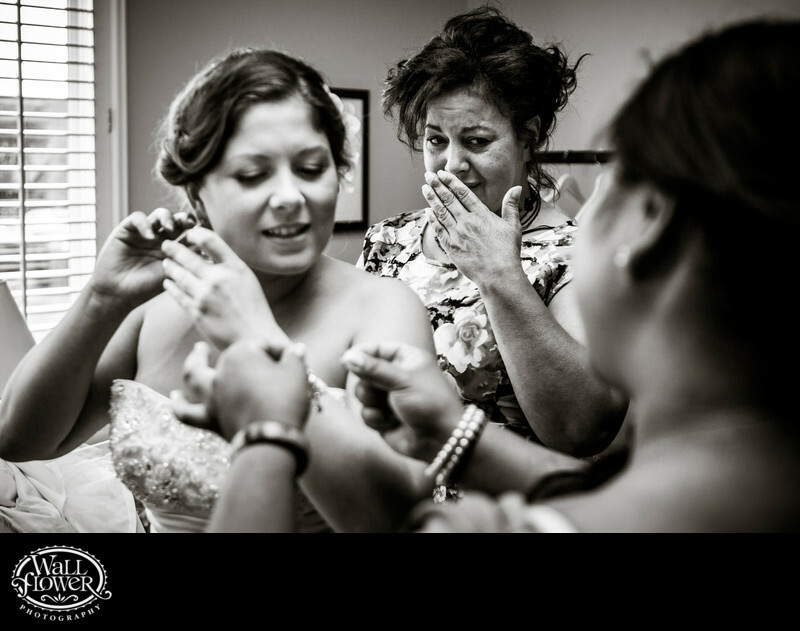 This photo is more about her mom, though, getting a little teary watching her daughter get ready for her first look with the groom. The black and white effect puts the viewer's eyes where they belong: on the mother's face.